Apple introduced a new MacBook Air, Mac mini and iPad Pro at its Tuesday event in New York. What are the implications for the enterprise? SAP, IBM, Microsoft all confirm that Apple is surging in the enterprise and the company’s October 2018 product launch will only reinforce its position in a sector that accounts for maybe 60% of computer sales. 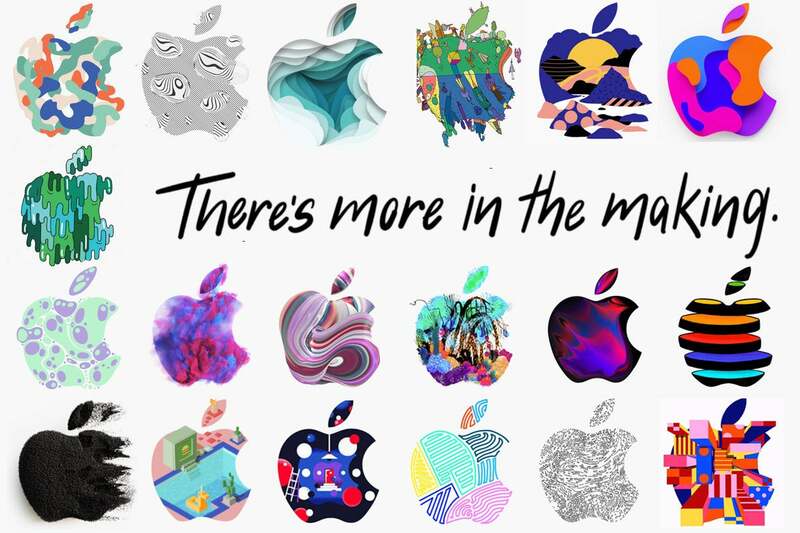 Apple introduced a new MacBook Air, Mac mini and iPad Pro during its "More in the Making" event in New York. The much-improved MacBook Air adds a 13.3-in. Retina Display in a smaller, recycled aluminium chassis. The system also has Touch ID and up to 1.5TB storage. The much faster Mac mini is now offered in Space Grey. It has up to 64GB of memory, with all-flash storage and Apple T2 security chip. Both iPad Pro systems (11- and 12.9-in. models) ship with up to 1TB storage and offer edge-to-edge displays. Here are some thoughts relevant to enterprise users considering the implications of these releases. Apple has shipped over two billion iOS devices. More than 400 million iPads and over 100 million Macs are now in use worldwide. Apple is also the world’s biggest vendor of mobile productivity systems (Macs and iPads), and (starting in 2019) it will become much easier to port iOS apps to macOS. All these statistics are important, in part because enterprise apps designed to run on iPhone or iPad will soon also be usable on the Mac. This makes it much easier to implement Mac choice schemes in your enterprise. Meanwhile the rate of mobile deployment continues to absolutely dwarf any computing era that has gone before. Apple continues to innovate across all its platforms, and the company’s control of A-series processor design means it is able to innovate its iOS platforms at a much faster rate. The new iPad Pro is a fantastic example: It's 35 times faster than the original iPad, runs graphics 1,000 times faster than the original and has up to 16 times the storage of the original tablet. It’s also smaller (and 30% lighter) than its ancestor. This has taken Apple just eight years to achieve. Many of these innovations are feeding back into the Mac. Retina Display graphics, the T2 chip, and enhancements around privacy, security and app distribution benefit both platforms. Mobile enterprises are increasingly likely to use external cloud-based service providers for the majority of their technology infrastructure, but there will always be some elements and services they may want to keep in-house. Apple mentioned MacStadium, a Mac-based enterprise cloud services provider that uses 8,000 Mac mini systems hosted in co-location centers worldwide. (Shopify uses this provider). The company couldn’t have made it any clearer that it’s possible to use its secure platforms as servers, and there is a potential industry in providing Mac-based server services. This also means enterprises that want to deploy their own servers can look to these Macs. They can even deploy Mac minis as entry-level computers running multiple operating systems on their hot desks. The newly-announced MacBook Air and Mac mini join the iMac Pro and MacBook Pro in hosting Apple’s T2 security chip. I wrote extensively about the T2 chip here. This chip handles a variety of security-related tasks, enabling secure boot (even for Windows systems), on-the-fly hardware encryption storage, "Hey Siri" and more. The chip also checks your Mac on start-up to ensure no one has inserted fraudulent hardware into your machines. Security is everything in a connected world, so enterprises can be reassured that Apple’s Macs are so finely protected, though hardware encryption also makes it mandatory to have an effective backup routine in place. Apple’s A-series processors are rapidly becoming the jewels in Apple’s crown. The company says the A12X Bionic chip inside the new iPad Pros delivers 35% better single-core CPU performance – and 90% better multicore performance – than last year’s iPad. It also noted that the new iPad Pros are faster than 92% of all the portable PCs sold in the year until June 2018. That’s important - it means the Apple tablets are rapidly becoming more powerful, enabling provision of more capabilities than before. While some grouse that Apple’s focus on mobile comes at the expense of the Mac, they miss the point that in terms of democratizing technology, Apple’s mobile systems haven’t just changed how we work, live and play but have also put more powerful computing device into the hands of more people. Adobe’s decision to introduce Photoshop for iPad Pro is a case in point. It proves that the capabilities of Apple’s productivity devices will continue to improve incrementally. That’s important, as it means the barriers that prevented an enterprise choosing an iPad (or Mac) four years ago during its last tech purchasing round may have disappeared. These improvements are emerging so rapidly that the use case must be examined regularly, particularly in light of the TCO benefits of Apple’s platforms. The Apple Pencil 2 has a new double-tap action that can be customized for other apps. This is intended to help you do things like switch tools and so on, but it’s not such a big stretch to imagine this support extending to becoming the mobile equivalent of tapping Control when selecting an item on your Mac. Enterprises migrating to iOS will swiftly find they also need to invest in Macs that developers can use to build and maintain their iOS software deployments. Within this, it’s reassuring to note that the newly-improved MacBook Air now seems to offer plenty of performance for the development of new apps. It is also interesting to note that (with a little work) those iOS apps will soon also become Mac apps (as noted above). It is also important to note that Apple’s walled garden around its App Stores provides a welcome security benefit in contrast to other platforms. The heavy vetting that takes place on consumer apps may benefit the company to some (30%) extent, but business users can make use of existing Apple schemes to distribute apps securely and without cost around their employees. The availability of state-of-the-art MDM solutions providers, such as Jamf, also makes it possible to provide employee choice and software autonomy in a heavily protected and security compliant environment. This kind of hardware/software protection is mandatory in today’s complex threat landscape. Apple continues to push its environmental credentials. The new Macs are made using a revolutionary aluminium recycling process, for example. However, as the company’s products become more proprietary purely in terms of the silicon inside them, and as it focuses on building a closed loop manufacturing system, it is also making its products less repairable than ever. That said, it does offer an easily accessible international network of repair centers, advice and insurance lines that mean repair is available, if not cheap. Apple’s move to make its entire business more environmentally-friendly extends to its product lifecycle. Lisa Jackson, Apple's Vice President of Environment, Policy and Social Initiatives, has previously pointed out that one way the company hopes to reduce the impact of its tech on the environment will be to ensure that its products are usable for longer. That move to extend working product life may have a big impact on enterprise IT budgets, reducing general TCO. It’s also an interesting reflection of shifting business patterns, as hardware product sales are replaced by a focus on cohort development and services provision. Access not ownership models are evolving – a philosophical shift that should be considered by any company, particularly those attempting to become more digital. Will you deploy Apple’s new products across your enterprise? If so, why? And if not, why not? Please let me know.